Your personal information will be held by Coastal Community Church (We, us, our). • Contact - Information we can use to make contact with you and where you live. • Transactional - Information relating to payments, credit and debit payments. • Consents - Information relating to permissions, consents and contact preferences. • Disclosure & Baring Service (DBS) Checks - Information relating to checks completed on individuals within the church who work with children and vulnerable adults. • Course and Event Management - Information relating to your attendance at conferences, courses or special events you have attended. • Giving / Gift Aid - Information relating to the money you give to church and where relevant our engagement with the HMRC to claim back tax via the gift aid process. • In application forms you complete, from emails and letters you send us, when registering for events, courses and special events and when using our websites. • The Disclosure & Baring Service (DBS) when you ask to work with children or vulnerable adults. • Testing new systems and checking upgrades to existing systems. • Banks and other debit/credit card providers when managing payments or refunds. 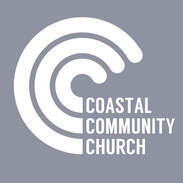 Coastal Community Church will use your personal information to keep in touch with you, for example providing updates on church life including news about special events, services, courses, highlighting ways you can engage in church life and general information which we believe will be of interest to you. We will not provide information about you to organisations outside of Coastal Community Church unless you have given us your explicit consent to do so. 1 The right to request that we correct any personal information if it is found to be inaccurate. 2 The right to request that your personal information is erased where we no longer have a valid basis to continue processing it. 3 The right to withdraw your consent to us processing your personal information. 4 The right to object to the processing of personal information in certain limited circumstances. 5 The right to lodge a complaint with the Information Commissioner’s Office. In some instances, honouring your requests (for example requesting that we erase your personal information) may preclude your ability to use our website or access other services. • analysing anonymised data to help us understand how people interact with our website so we can make it better. If you have a privacy concern regarding Coastal Community Church, or this policy, and if you cannot satisfactorily resolve it through the use of this website, you should contact us using the contact page link. Join us for coffee from 10am.